If you’re looking for a company to contract knit scarves and beanies from then you’re in luck because AMBRO Manufacturing is here to help. AMBRO Manufacturing is a contract apparel customization company with over 30 years in business so we have tons of services here to offer you to make all kinds of custom products. We have our very own custom knitting machines to make your contract knit scarves and beanies right from the colored yarns! 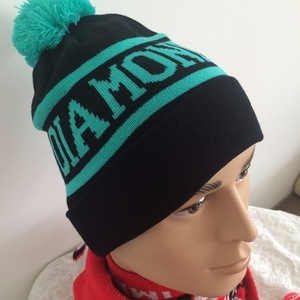 When you contract knit scarves and beanies from us you’ll be getting fully knit-in designs so you’ll never have to worry about your logo or design falling off, peeling, or cracking. We’ll take your artwork and convert it into a knit-ready design and send you a digital mock up before we move into production, so you can be sure of the result before any work gets started. Since we handle the production in-house we are able to oversee all aspects of the process to ensure superior quality control. 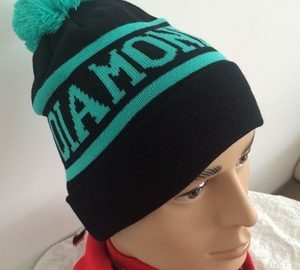 Custom knit scarves and beanies are great for many occasions and since you can customize the design as you see fit, they’ll look just like you want them to. You can create your designs for retail, for a team, for gifts, or just for fun! No matter what the reason, we’re here to help you make it happen. If you are new to contract knit scarves and beanies, you don’t need to feel overwhelmed because our support staff is here to assist you and answer questions whenever necessary. So if you are interested in placing an order with us, or if you would like to learn more about our company and all of the customization services we have to offer, you can contact us by email or by giving us a call at (908) 806-8337.